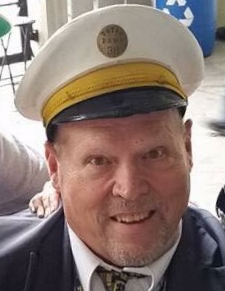 Tony Edward Woodworth was born January 4, 1949 in South Bend and died on November 20, 2018. He was the son of Virgil and Edna Woodworth both deceased. He married Patricia Hums on August 5, 1972 and after 44 years she passed away April 17, 2017. Surviving siblings include James (Marlene) Woodworth of South Bend, IN and Charlene (Robert) Nevil of Fernley, Nevada. Surviving children are Stephanie Woodworth of Decatur, IN; Gina Wenger of Decatur, IN and Nicholas (Melissa) Woodworth of Ossian, IN. Grandchildren, Alyson, Keaton and Kaleb Wenger of Decatur, IN, Ava Woodworth of Decatur, IN, Colson Woodworth of Ossian, IN and precious great-granddaughter Kinsleigh Wenger of Decatur, IN. Tony worked as a dispatcher for trucking companies all of his life. Some of these companies included TMX, Saunders, Ryder and Triple Crown. Tony was a parishioner of St. Mary of the Assumption Catholic Church in Decatur. He was a member of the Knights of Columbus Msgr. J.J. Seimetz Council 864, where he and his late wife were active in its 4th Degree Assembly 257. Tony was a gentle man who truly loved his wife, family, and friends and cherished the many memories with them. Despite the fact Tony fought many medical illnesses; he found joy in some of life’s simplest moments such as his love for Notre Dame Football and a great Irish win! Tony volunteered as a Notre Dame usher at the stadium for many years, guarding the tunnel where the players and coaches entered. Tony will be dearly missed by his family and friends. Visitation will be from 2:00 – 6:00 p.m. on Sunday, November 25, 2018 at Haggard-Sefton-Hirschy & Zelt Funeral Home in Decatur, IN, with a reciting of the Holy Rosary at 1:30 p.m. K of C 4th Degree Honor Guard will post from 2:00 – 4:00 p.m. We asked that you wear your Irish pride to the visitation and cheer for an Irish win against USC Saturday. A Mass of Christian Burial will be held at 10:00 a.m. Monday, November 26, 2018 at St. Mary of the Assumption Catholic Church, with calling 1 hour prior to service from 9:00 – 10:00 a.m. in the St. Mary’s Parish Hall. Officiating will be Fr. Dave Ruppert and burial will take place in St. Joseph Catholic Cemetery at a later date. Memorials may be made to the A.C.C.F. Angel Kidney Fund.